The late news on our local TV station carried a story about one of those efforts for breast cancer awareness. It was a 5-K run in which folks dressed in pink were trying to raise funds for some new screening program at an area hospital. 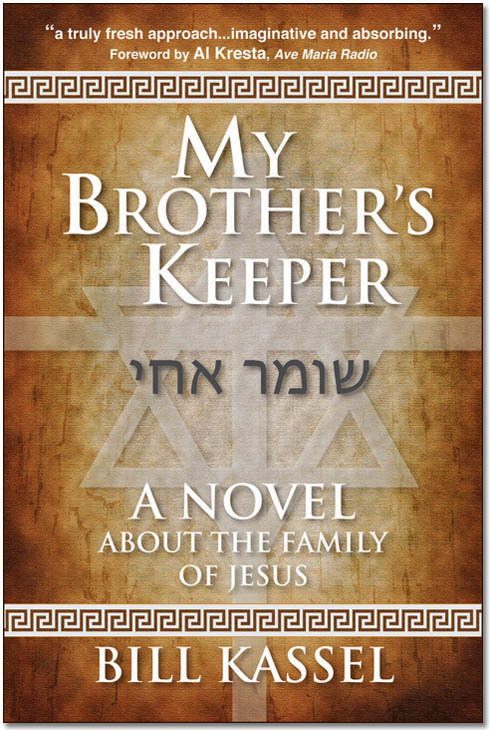 In my novel, My Brother’s Keeper, I interpret his feelings differently. I credit the governor of Judea with a kind of wistful ambiguity. There he was, trying to govern according to the will of Caesar in the midst of dangerously shifting political currents and a lack of clarity as to what Caesar’s will might be on any given concern. If my take is correct, then poor old Pontius was struggling very much like the rest of us: weary with the world’s hypocrisy and self-interestedness, trying to discern what’s true and act appropriately. This I can understand. After the wearying vilification heaped on Donald Trump throughout 2017 — as discussed in my last post — I feel a bit wistful myself. Unfortunately, there appears to be no letup in sight. [Read more…] about What Is Truth? Can you sum up 2017 in a famous quote? Lord knows, that’s the assumption behind pretty much everything that’s been said about Donald Trump’s first year as President. Yes, The Donald is given to flights of wild hyperbole and intemperate criticism. And yes, such things can involve an element of mischaracterization (not to say untruth). Adoration was likely well covered also, given the pious practices in which Catholic kids of the ’50s were steeped. Just how much true contrition there was would’ve been anybody’s guess. But it’s the element of thanksgiving which I’d assume was least present. Were we ’50s youngsters (Catholic or otherwise) grateful for the blessings we enjoyed? Our parents were always telling us we didn’t appreciate how much we had — at least in comparison with the deprivations they endured. After all, they’d struggled through the Great Depression, and had to walk ten miles to school everyday. Outrage generated by The New Yorker exposé of movie producer Harvey Weinstein’s dubious sexual ethics (and apparently limitless appetites) revives old stories about the Hollywood casting couch. I suppose it’s a positive sign that we can still be disgusted when we hear about some mogul abusing the beautiful women of La La Land. But this is really nothing new. Gorgeous girls have always faced coercive sexual pressure. Movietown history is replete with tales of open-secret relationships, unacknowledged offspring, wild bacchanalia in the Hollywood Hills, and much else. Consider the strong advocacy for abortion among the celebrity set. There may be more than Feminist devotion in play. It’s hard to know how to pray these days. The country is in such turmoil, and clearly, we need God’s help. But I find it hard to keep my daily supplication from sounding like a blog post (like my last blog post, for instance). I know God cares about our welfare. But does He care about our politics? How do I implore His benevolence, without presuming He endorses my particular agenda? What’s the proper way to frame my appeal to One whose perspective is eternal and all-encompassing? The cute graphic above — currently circulating online — hints at the difficulty of keeping willfulness from imposing itself on prayer. Apparently a lot of people face this challenge. I suspect the answer to my quandary lies in trust. Which is to say: in trusting that God knows what’s best, and assenting to His will, no matter how He permits things to work out. Easier said than done, I’m afraid. Last Saturday’s post — in which I raised the issue of wearing slovenly and/or immodest clothing at Mass — really struck a chord. Each of the Facebook pages and discussion groups to which I linked the article has brimmed over with “Likes.” I’ve had more hits on this piece than any other essay in the history of my blog. Numerous comments have been posted all over. Obviously, feelings about this topic are strong. Most people agree with the point made by both Deacon John Amthor and myself that worship attire could stand some improvement. He saw the idea of applying standards to our physical appearance as a “doctrine of man,” which he rejects. When I was a kid attending a Presbyterian church, people dressed to the nines for Sunday service. Ladies wore hats. Gents came in suits. Little girls carried their collection money in their lace-trimmed white gloves. Little boys wore ties — grudgingly — and did their best to keep shirt tails tucked in. Well…that was the 50s and early 60s. Times have changed. When I began attending Catholic Mass, I was taken aback to see slacks on the women, open-neck knit shirts on the guys. That was the 70s. Things have gone completely to hell since then. Blessedly, Cruickshank didn’t carry this line of speculation too far. Somehow, a guy named Salman Abedi blowing himself up with a bunch of innocent little girls didn’t have a right-wing feel about it. Okay, Katy. I’ll ignore the implied slam at Trump’s border wall and just suggest that you and all your sister pop tarts go over to Syria, look up the ISIS guys, and deliver your impassioned plea to them.